With their revolutionary designs Ray and Charles Eames repeatedly broke boundaries: not only in terms of design, but above all in terms of materials and manufacturing processes. In the development of the chairs of the Plywood Group, they experimented for years with a completely new method: the three-dimensional deformation of plywood. The aim was to three-dimensionally adapt a seat and backrest made of laminated wood to the body shapes of humans, that is, to develop a wood-made but nevertheless ergonomic shape that makes comfortable sitting possible. At the end of their many years of experimentation, the seat and backrest of the Plywood Group stood out - both functionally and characteristically - with their unmistakable, unobtrusive momentum. The Plywood Group includes various chairs, each with different bases and seat heights. 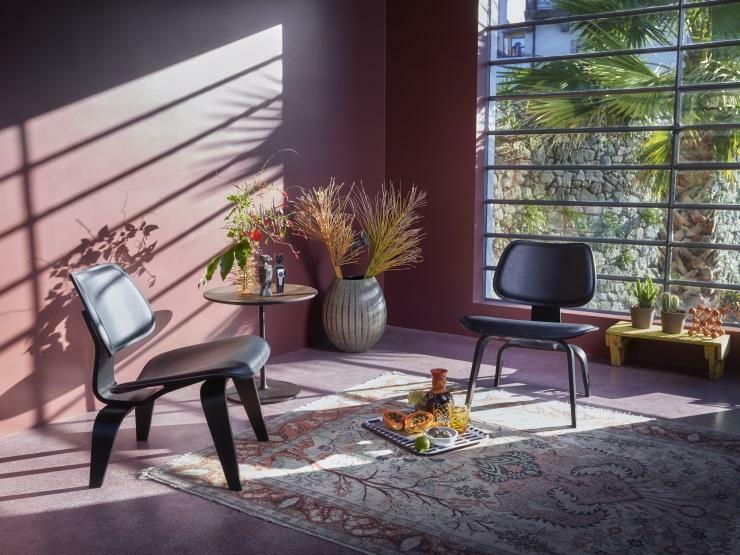 The Vitra lounge chair LCW and the dining chair DCW are especially characteristic, not least on account of the fact that the base is also made of moulded plywood. The Vitra LCM and Vitra DCM chairs, in turn, have a simple tubular steel base that contrasts elegantly with the seat and backrest.